ISA Expo is no more. The event, which focused on process control and instrumentation, had fewer exhibitors and attendees in October 2009 than in 2008, which in turn was down from the year before. The 2009 version was notable mainly for being the final one. The International Society of Automation, Research Triangle Park, N.C., has announced it's replacing the show with ISA Automation Week starting this year. The new event, slated for early October in Houston, will feature a technical conference rather than exhibits. The current economic situation clearly played a part in the 2009 Expo’s troubles. Chemical companies continue to face financial pressures. With funds tight for capital expenditures, there’s less motivation to send engineers to the show, especially when firms also are curtailing non-essential travel to save money. However, the Expo’s demise also stems from some issues that have been developing for far longer. For instance, many chemical makers, like manufacturers in general, have restructured their operations during recent years, slicing staffing and spending. 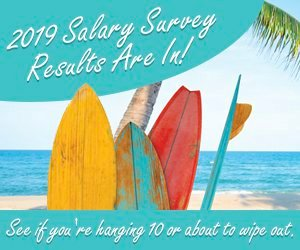 Lots of engineers are working far harder now — in the latest CP Salary Survey ("Engineers Proceed With Caution") more than one-quarter of respondents complained about hours and workload. So, finding the time, not just the money, for non-core activities is tougher. In addition, the Internet has changed the way we think about getting information. It’s relatively easy to obtain details about technology and to compare rival offerings via the Web. Plus, more and more vendors are focusing on online marketing rather than exhibiting at shows. Process-control-focused shows face some added difficulties. Many major automation vendors such as ABB, Emerson and Honeywell now run extensive user group meetings that include numerous technical sessions and workshops as well as exhibits. Attendees get information specific to their process control systems and can talk to vendor experts. The automation companies also generally share their product-development roadmaps and actively gather inputs on desired enhancements at these meetings. ISA Expo was hardly alone in suffering from these trends. Germany’s Interkama, the major European event focusing on process control and instrumentation, in 2004 went from a stand-alone show in Dusseldorf to becoming part of the Hannover Fair. Exhibitor and visitor numbers continue to fall. It’s renaming itself the “Process Automation” trade fair this year. However, ISA Expo did have unique problems. In particular, some well-connected ISA members blame management failings for the demise of the Expo. Meanwhile, trade shows focusing on process equipment also are fighting to stanch declines. The world’s largest such show, Achema in Frankfurt, Germany, is doing best. The event in May 2009 boasted nearly 3,800 exhibitors spread over 134,000 m2 and more than 173,000 visitors, about the same levels as the last one, in 2006, says its organizer, Dechema, the Society for Chemical Engineering and Biotechnology, Frankfurt. In addition, the 2009 show maintained its international drawing power. Indeed, the event was the most global ever — more than 46% of the exhibitors and 25% of the visitors came from outside of Germany, notes Dechema. The biennial Chem Show, which started in 1915 and long has reigned as the key U.S. process equipment exhibition, isn’t doing as well. The latest event, held in mid-November in New York City, was smaller than the 2007 version, which was smaller than its 2005 predecessor. The show's organizers, International Exposition Co., billed it as the "new" Chem Show and promoted its relevance to hot topics such as sustainable and green processing and operating efficiency optimization. The firm introduced “AIChE Day,” featuring technical sessions developed by the American Institute of Chemical Engineers, New York City. But such efforts failed to stem the decline in exhibitors and attendees. International Exposition Company indicates it intends to soldier on with the exhibit. However, that doesn’t necessarily mean sticking with the current format. So, I’d surmise the next Chem Show will feature a new focus and might even take place at a different location. One possibility is to move the event to Houston. The U.S. petrochemical industry is centered there, plus the exhibit may benefit from any void caused by the demise of ISA Expo. I’d reckon that a decision about the nature and site of the 2011 Chem Show will have to be made fairly soon. I’ve always found trade shows valuable and would miss them. However, they probably can’t survive simply by repeating what they’ve always done. Organizers must rethink such events to foster their long-term viability.